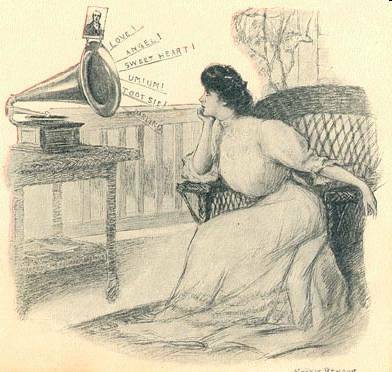 The majority of record buyers at the turn of the twentieth century were women, and the record player, while an interesting, new technology, was also an invader into the tasteful sanctuary, that was, their home. 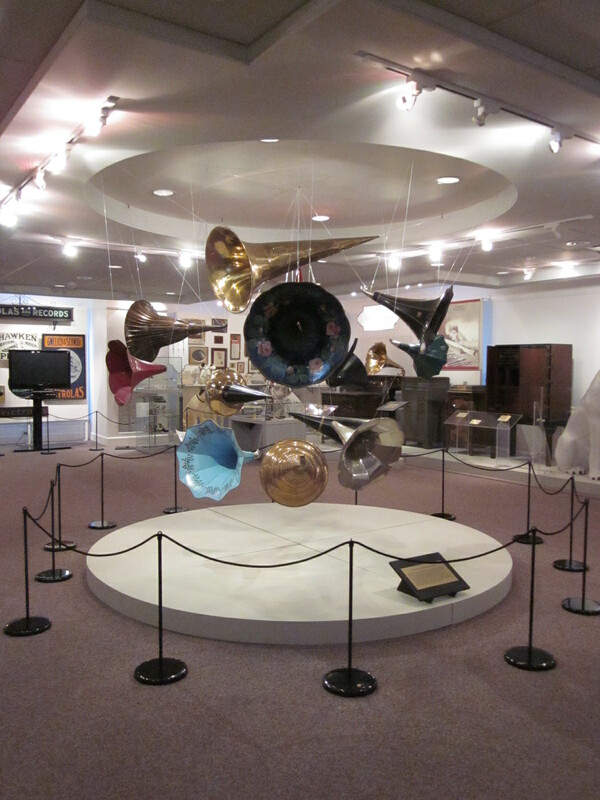 Men’s literature, such as Scientific American or The Gramophone, touted the tech specs of talking machines – which needles to use, what was the latest in tone arm technology, and how, in terms of talking machine horns, size really does matter. 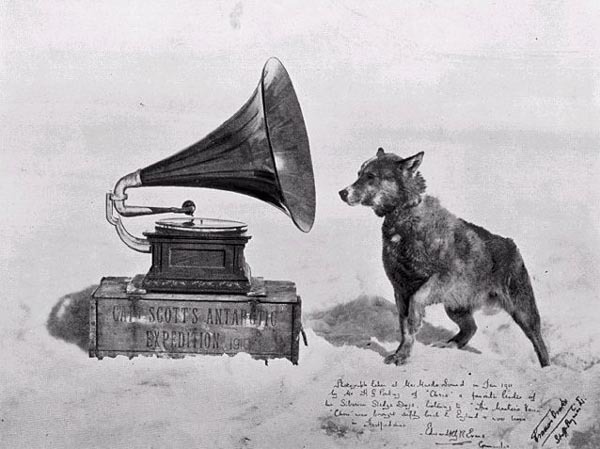 But the open-horned, table-top gramophone was an awkward beast perched in a sitting room or parlour – they took up a lot of room, and the horns were vulgar dust-catchers. Thus the advent of disguising the gramophone as furniture. It was after all women who made the decisions about what furniture was or was not coming into their home at the turn of the century. 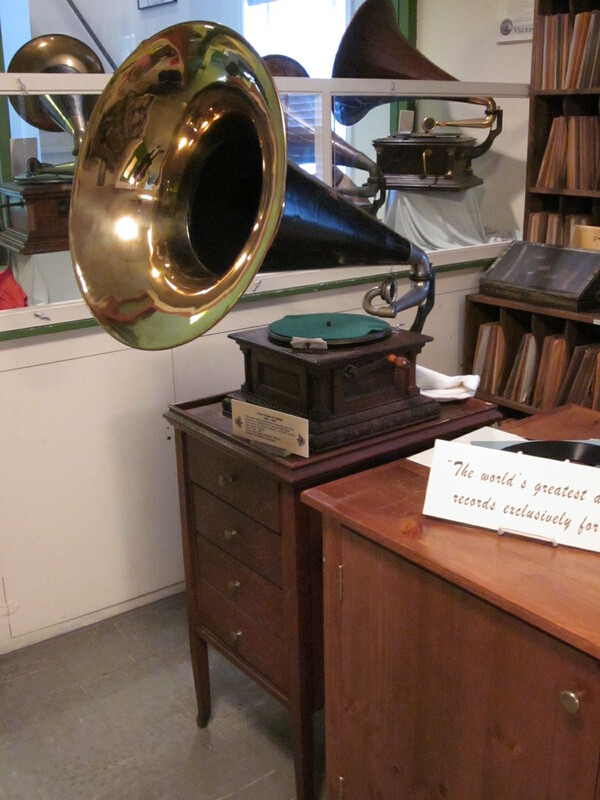 The gramophone and its cultural advantages on the one hand and its awkward shape on the other posed a real dilemma for the modern woman: she had aspirations towards creating a charming parlour to serve as a sanctuary and private refuge for her family away from the outside world, but she also wanted to be a part of the new, progressive world. (after all, this is the era where special covers were made to hide the naked legs of pianos), then the horn would have to be tucked away. 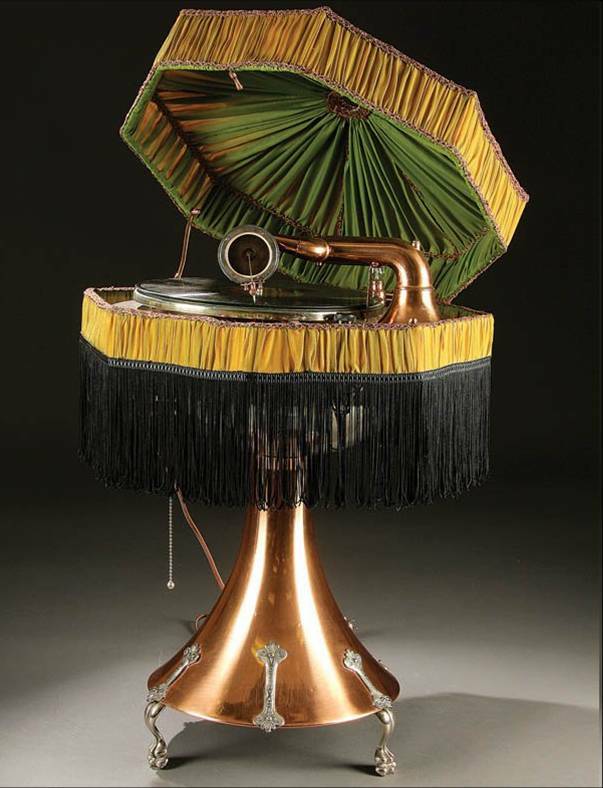 It wasn’t an entirely new idea to camouflage the phonograph – there’d been, for example, a short-lived fad to disguise gramophones as table lamps! 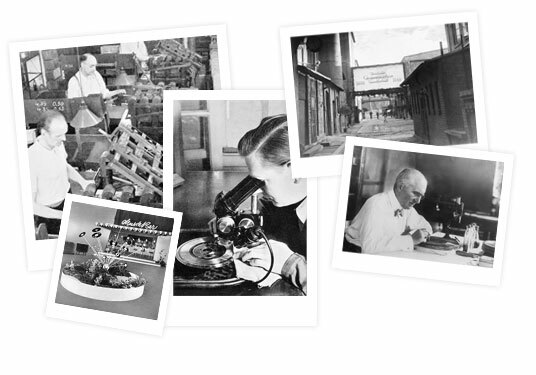 And ladies were already accustomed to utilitarian machines doubling as furniture, especially considering the beauty of Singer Sewing Machine cabinets. 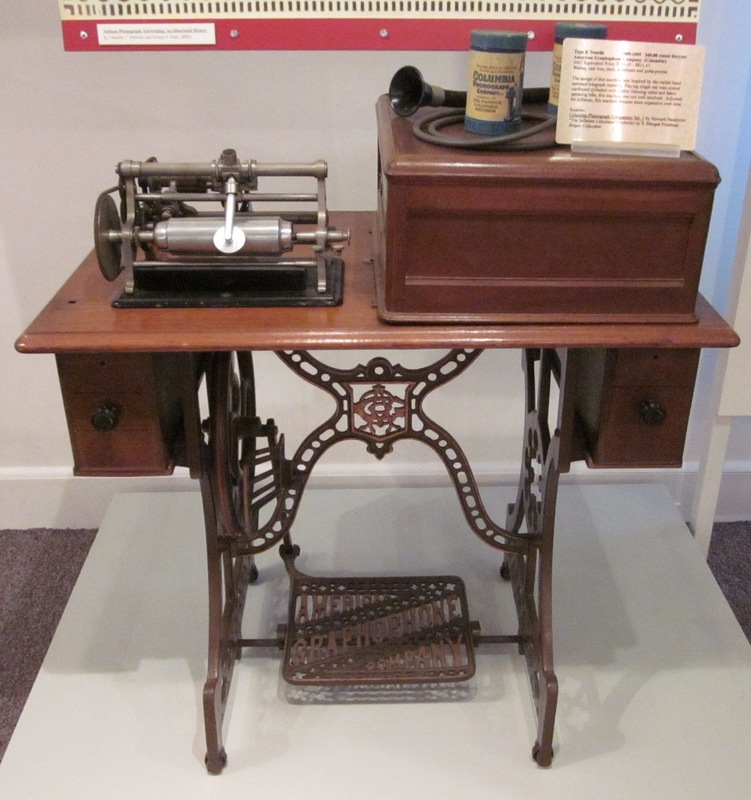 Alexander Graham Bell, in fact, had devised a graphophone model that was married to the treadle of a sewing machine, albeit less for aesthetic purposes and more to find a solution to the problem of handcranking the record player. 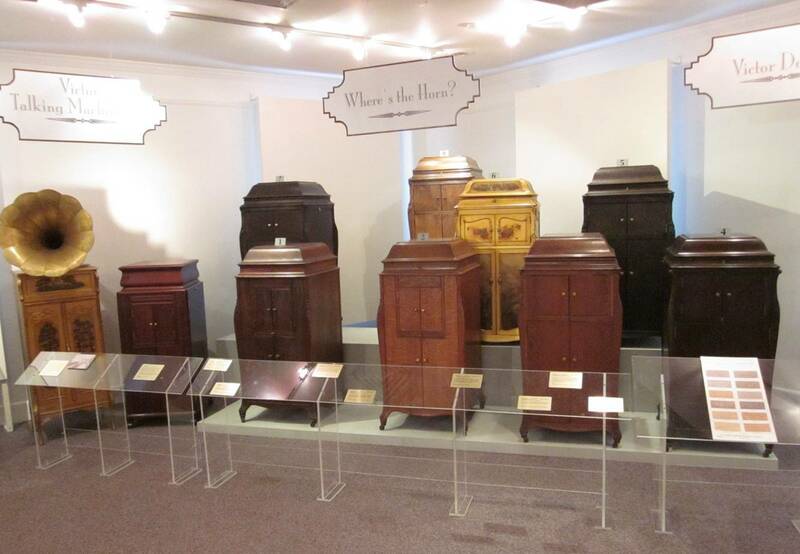 Hence the Victrola: beautiful cabinets which doubled as tasteful pieces of furniture. The model names – the Gothic, Louis XVI, Jacobean, Chinese Chippendale — conjured up images of old world sophistication; they also hid the horns behind cabinet doors (which might also conceal convenient shelves for record album storage as well.) 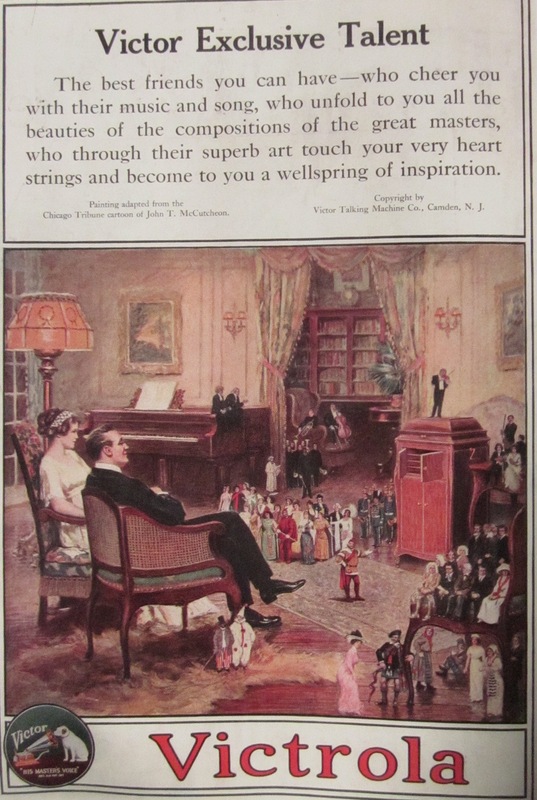 Victrola is wordplay on the part of Johnson, combing the words Victor and pianola, another middle-class source of entertainment popular at the time. 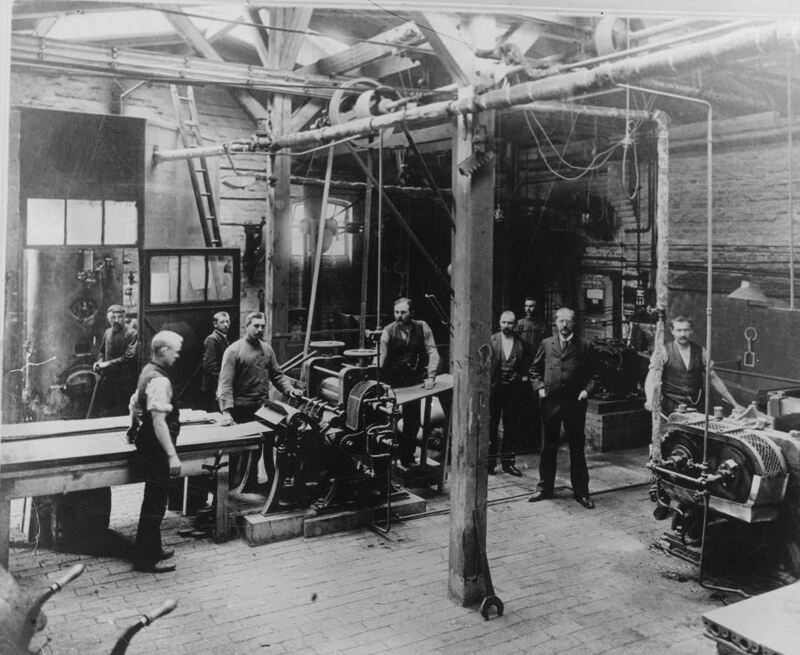 Johnson was no fool, and while any horizontal surface was fair game for the myriad knickknacks beloved by Edwardian women, one will notice that most Victrola cabinets have rounded tops – it’s impossible to pile on top of them the vases, lamps, and assorted essential tchotchkes that would have made accessing the machine an annoyance. So now the fine lady – or middle or working class lady with aspirations – now had the perfect hostess’ companion. 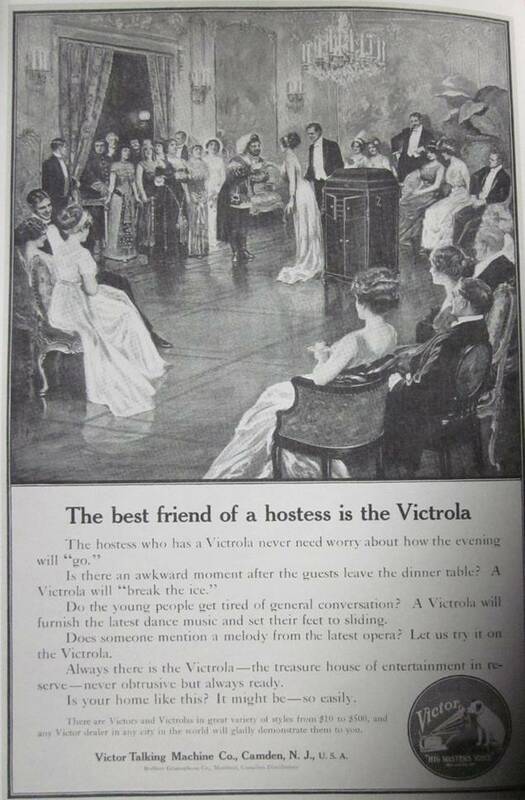 The Victrola was beautiful and unobtrusive – in some advertisements, it’s barely in the picture. 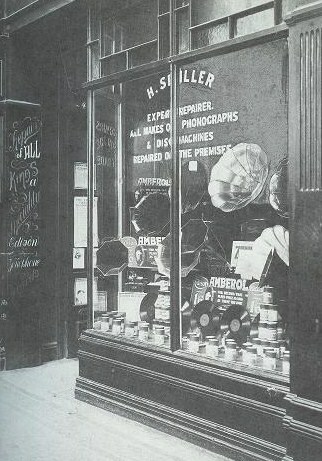 Johnson’s relentless advertising campaign of the new design meant that ‘Victrola’ became a generic term for any sort of wind-up talking machine. So when is it a Victrola? 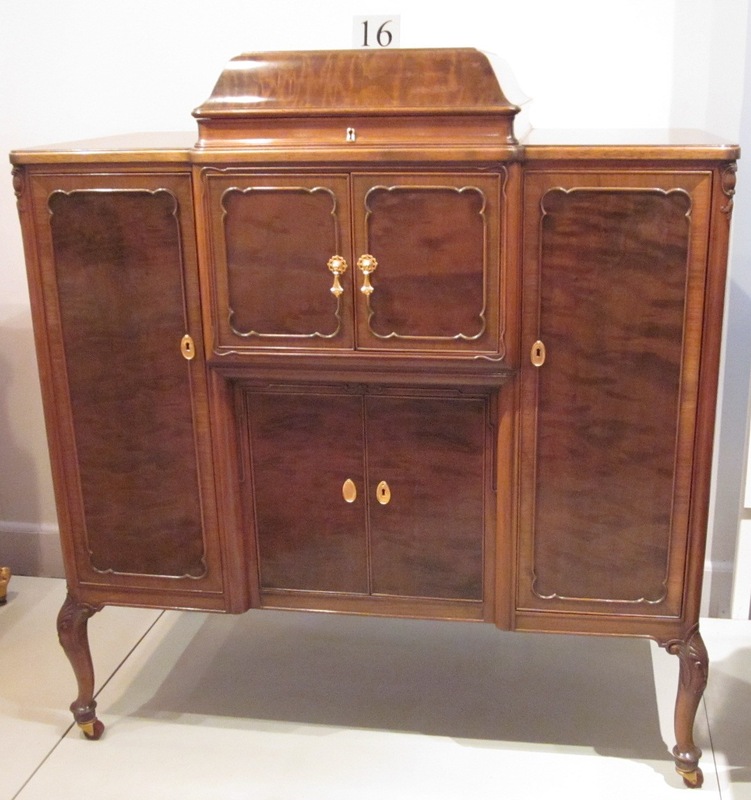 When it is a Victor machine, of course, but when the horn is concealed in a cabinet. I am the (very first UK) DJ. And I broadcast 87 years ago today. It’s a far cry from the histrionics of Chris Evans, the authority of Brian Matthew or the intensity of Whispering Bob Harris, but on July 7, 1924, Britain’s first disc-jockey began broadcasting…..in a dinner jacket. Christopher Stone was educated at Eton College and served in the Royal Fusiliers. He became the London editor of The Gramophone, a magazine started by his brother-in-law Compton Mackenzie. Stone approached the BBC himself with the idea for a record programme, which the corporation initially dismissed. 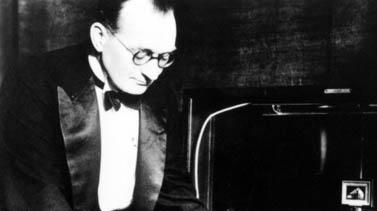 Stone managed to convince them though and on July 7, 1927 he started playing records on air. His relaxed, conversational style was exceptional at a time when most of the BBC’s presentation was extremely formal, and his programmes became highly popular as a result. He wore a dinner jacket and tie when he presented. In 1934 Stone joined the commercial station Radio Luxembourg (for 5,000 pounds a year) and was barred by the BBC in consequence. Three years later, as “Uncle Chris”, he presented the first daily children’s programme on commercial radio, Kiddies Quarter Hour on Radio Lyons. 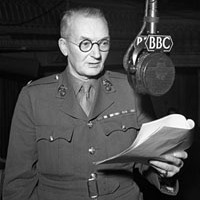 Stone later rejoined the BBC and caused a major row in 1941. On November 11 he wished King Victor Emmanuel of Italy a happy birthday on air, adding “I don’t think any of us wish him anything but good, poor soul.” This good wish towards the head of a state Britain was at war with at the time led to the sacking of the BBC’s Senior Controller of Programmes and tighter government control over all broadcasts. 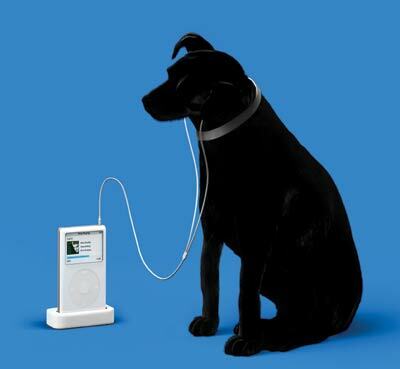 Christopher Stone, The Sound of the Hound salutes you! Three Woofs!